Autism Spectrum Disorder (ASD) is a condition that oftentimes can be hard to understand. It can affect the way a child behaves, speaks, and perceives the world. The symptoms may also vary greatly depending on each separate case. And the fact that autism is diagnosed in 1 in 59 kids in the US only proves that this condition needs to be acknowledged and accepted in our community. Now, understanding the issue can actually help us find a solution. So, let’s take a closer look at the autism-related sleep struggles in children and the possible ways to deal with those issues. We are going to see what specific actions need to be done to help with the sleep challenges one may experience, what possible treatments are there, and how to understand autism and sleep-related symptoms overall. Does Autism Cause Sleep Issues? What Is Hiding Behind Autism-Related Sleep Problems? So, what is autism and why is it called like that? The thing is, this is a spectrum disorder for one simple reason: autism affects people in a wide range (spectrum) of variations of symptoms. In fact, autism isn’t just one disorder but a group of different conditions, each of which is related to another since they all share the similar core of symptoms. However, each autism patient is individual. Every child with autism has their own challenges, symptoms, and even unique abilities. 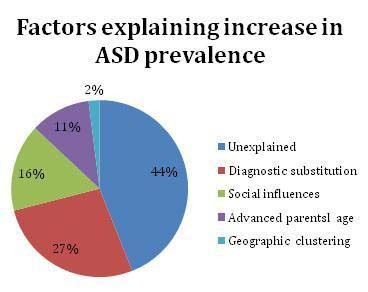 This is why Autism Spectrum Disorder may be so challenging to manage. What’s worse is that this condition is “spreading” and growing throughout the nation. 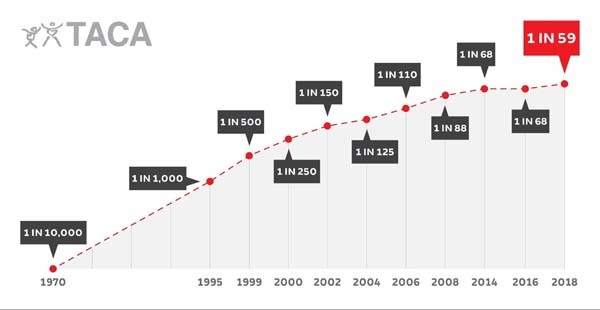 Just 10 years ago, autism was diagnosed in 1 child in 88. Right now, the numbers are different. And it seems like more and more children get affected by this condition. 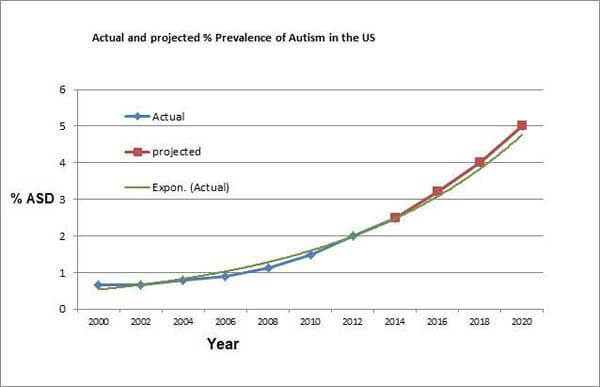 According to statistics, it is predicted that the growth of Autism Spectrum Disorder will be exponential within the next few years. Now, it is natural for parents to wonder what causes autism in kids. Unfortunately, there’s no simple answer to this question. To be more accurate, there’s no single cause of this condition. Doctors and researchers suggest that autism is always caused by a combination of different influences. They may involve genetics, environmental factors, infections, birth complications, advanced parent age, etc. Just like there’s no simple answer to the question “What causes autism?”, we cannot know for sure what induces the growth of this condition throughout the nation. Again, scientists suggest genetic and environmental factors, but there is no sure answer. The process of diagnosing a child with autism is long and requires parents to be patient and ready to wait. However, some doctors say that the sooner you notice the first signs the better. This means you can start the treatment sooner too. showing obsessive behaviors (like constantly rocking their body, flapping the hands, or spinning in circles). Now, it is important to remember that because autism is a complex condition, it reveals itself differently in different patients. Symptoms may vary greatly depending on each individual case. However, some sings might be common for this condition and may be present in many patients. These symptoms can be divided into subcategories. Let’s take a look at them. failing to understand simple questions or sentences. being hypersensitive to certain textures, sounds, or light. difficulty understanding other people’s gestures, body language, reactions, and feelings. When you are prepared (at least with all the necessary info), you can control the situation better. Interview. Parent interview is the first step in the process of diagnosing Autism Spectrum Disorder. Your doctor would want to know your family’s medical (including mental health) history as well as your child’s background and his or her medical, behavioral, and developmental history. Medical exam. Usually, it involves genetic testing, a general physical exam, lab testing, and neurological testing. Observation. Usually done by a developmental specialist, this test involves observing a child in different settings and environments. It helps doctors notice any unusual behaviors associated with autism. Speech evaluation. Since speech and language skills often get affected by autism, such tests are common in the diagnosing process. A specialist will evaluate the way your child speaks and will look for any signs of autism or any other disorder. Hearing tests. In some cases, hearing problems may result in autism-like symptoms (for instance, language delays or social unresponsiveness). Therefore, doctors always check children for any hearing impairments before moving to autism-related tests and evaluations. Lead screening. Don’t be surprised by this test though. Lead poisoning can cause autism-like symptoms, which means all kids with such signs need to be screened for lead poisoning to cross it out off the list. Cognitive tests. Regular intelligence tests are applied in such a case to establish any developmental delays. Sensory and motor evaluation. Autism causes sensory issues. However, those issues may oftentimes be a part of a sensory dysfunction, not autism itself. Therefore, specialists always check for any sensory and motor disorders before diagnosing autism. Such evaluation usually involves sensory processing skills tests, gross motor skills tests, and fine motor skills evaluation. Sadly enough, while causing many different challenges, autism also interferes with children’s healthy sleep routine. In fact, such an occurrence is common for many kids with Autism Spectrum Disorder. It is estimated that 80% of young autism patients have to deal with regular sleep problems. There is also a direct correlation between autism and the loss of sleep. 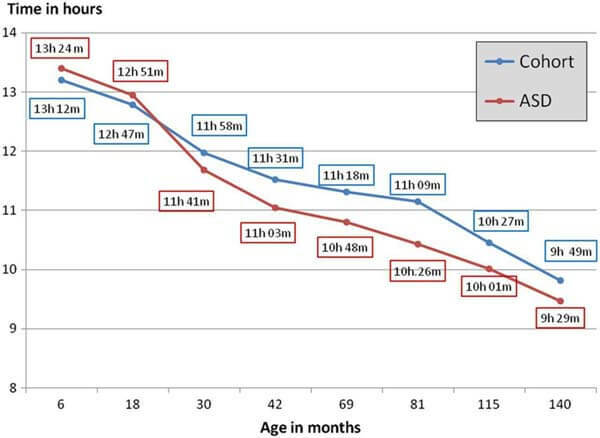 Form an early age, children start gradually losing sleep as they grow older. They sleep less (up to 43 minutes) every day. You probably know that sleep deprivation has a negative influence on one’s health, especially if we are talking about a young, child’s organism. There’s a direct correlation between autism-related sleep problems and behavioral changes in kids (like aggression, inattention, irritability, etc.). Insomnia. Insomnia is common in autism patients and it affects kids as well. It implies an inability to fall asleep at night or difficulties staying asleep throughout the night. People with insomnia don’t get a sufficient amount of sleep, which (if happening regularly), can lead to mood swings, weak immune system, health issues, and so on. Early morning rising. Many kids with autism don’t get enough sleep because they wake up too early in the mornings. As a result, their sleep regime shifts and may affect their behavior and well-being. Shifted circadian rhythms. This disorder involves falling asleep much later than normal and waking up too late as well. This process involves the work of our inner biological clock. You see, the brain sends the body a signal that it’s time for bed in the evening. However, when the body’s natural circadian rhythms are shifted, the brain doesn’t simply feel the need for sleep unless it’s really late, and the whole natural sleep schedule is messed up. Less restorative sleep. Kids with autism spend less time in the REM phase, the phase that is crucial for body recovery, learning abilities, etc. Therefore, these kids’ sleep is less restorative overall. Difficulty getting out of bed in the mornings. Many children with Autism Spectrum Disorder feel fatigue in the mornings and find it hard to get out of bed. Fragmented sleep. Such a sleep issue involves waking up multiple times during the night and falling back asleep. The sleep quality, in this case, is much lower because the natural sleep cycles are constantly interrupted. Sleep apnea. This condition involves short pauses in breathing during sleep. The brain wakes the body up to restore the breathing processes, which, again, results in disrupted sleep and its lower overall quality. Anxiety, especially around bedtime. Children with autism often feel overwhelmed with their surroundings, especially in the evening after a long day. Therefore, they might feel anxious before going to sleep, which, consequently, doesn’t allow them to get the needed healthy sleep. Nightmares or night terrors. They interrupt a child’s sleep and increase the stress levels. Excessive daytime sleepiness. When not getting enough rest during the night, children feel sleepy and tired during the day. This may interfere with their regular activities and even influence their well-being. 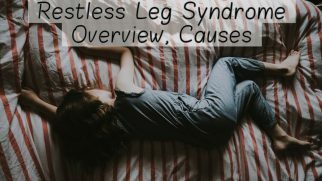 Restless legs syndrome or periodic limb movement disorder. These two conditions make it hard for kids to do both fall asleep and stay asleep throughout the night. Also, take a look at our list of 6 best crib mattresses for your baby. To find the best treatment for each specific sleep issue, one needs to try various methods. However, figuring out what exactly causes these issues might be very helpful. You see, once you know where the root of the problem is, you can find effective solutions on how to deal with it. Medication side effects. Many autism patients take different medical supplies to reduce the symptoms of this disorder. In some cases, this medication includes antidepressants and other drugs that can negatively affect one’s sleep cycles. Many other pills (like Citalopram or Sertraline) may cause hyperactivity before bed, which also results in shifted sleep cycles. Genetics. It is known that certain genetic shifts can cause autism. However, the same genetic issues can actually cause sleep problems in people with autism. Accompanying health conditions. Children with Autism Spectrum Disorder oftentimes suffer from such additional conditions as anxiety and depression, which are very likely to contribute to the sleep issues. Sensory sensitivity. Many kids with autism are extremely sensitive to the outside stimuli such as noise. This may cause difficulties falling asleep or staying asleep during the night. Insufficient melatonin production. Different studies suggest that autism patients produce less melatonin, which directly influences the quality of their sleep. There are numerous different methods you can try to help your child sleep better. Some are directed towards managing the autism symptoms, others work solely with the sleep problems. Whichever you decide to try, keep in mind that every child is different, so some of these methods might be more effective and others may disappoint you. The rule here is to remain consistent and patient. Trying different methods and techniques, combining them, and watching how your child responds is probably the most effective strategy. Cognitive behavioral therapy. This method actually may help with both sleep issues and autism symptoms. Cognitive behavioral therapy helps kids understand the importance of a healthy sleep and recognize the behavioral patterns that mess up their sleep regimen. It can also help them manage their anxious and stressful thoughts and regulate them on a daily basis. Light therapy. This method is especially effective for those patients who have shifted or disrupted circadian rhythms. Light therapy implies using a special light box (very bright), in front of which a child is supposed to sit for certain amounts of time. Light therapy helps children wake up in the morning or keep them awake when needed, thus getting their circadian rhythms back on track. Relaxation techniques. They can be a part of cognitive behavioral therapy or can also be used independently. Relaxation methods often include meditation and controlled breathing. Such exercises help children with autism calm their anxiety and relax before going to bed. Melatonin supplements. Taking them before bed can help kids fall asleep (since such supplements kick-start the melatonin production). However, make sure you discuss the proper dosage with a doctor first. ASD medication. Many ASD drugs help with both autism symptoms and sleep issues. However, some of them might actually mess up your kid’s sleep. Therefore, it is crucial to always talk to the doctor and tell him or her about the sleep problems your child is having. White noise machine. It can do many things: block other noises, create a relaxing environment for sleep, and help your child calm the anxious thoughts down. Eye mask or thick, dark curtains. These sleep products are ideal for autism patients who are sensitive to light. Earplugs. Again, such a sleep accessory would work great for someone with sensory sensitivity issues. Padded bed rails. They are suited for kids who suffer from nightmares and night terrors. Oftentimes, kids may move vigorously when having a nightmare, and the rails will prevent them from falling onto the floor. Some soft floor pads would also come in handy in such a case. CPAP machine (Continuous positive air pressure machine, which helps greatly with severe sleep apnea cases). The right mattress. Mattress plays a big role when it comes to sleep. Take a look at our 5 best mattresses for kids. Come up with a consistent bedtime routine. Something that you and your child can do every evening before bed. For example, put on PJs, brush your teeth, wash your face and hands, brush the hair, get in bed. Such simple actions can be calming and somewhat reassuring, especially when done every evening. This simple routine will help your child wind down after a long day and relax doing something familiar. Just remember to follow the same steps calmly and consistently every evening. Limit the screen time before bed. Even better, try to get your kids to avoid any electronic devices 2 hours prior to bed. You see, the screens emit the blue light, which can suppress the production of melatonin, the sleep hormone. 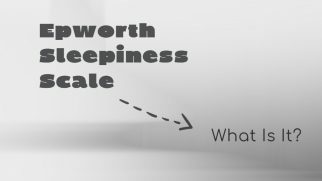 Help your child understand the sleep regime phenomenon. To do that, you can turn to visual aid (create a chart, for example) with pictures and simple objects, which explain your evening ritual and sleep schedule. Don’t add too many activities to your evening routine. You don’t want your kid to be overwhelmed with the steps he or she needs to take before bed. Create a comfortable sleeping environment. Many children with autism are sensitive to the outside stimuli, so you need to take care of that. Use dark curtains to block the lights, remove the labels from your child’s clothes and bedding, make sure your household is quiet when it’s time for sleep, and remove the distractions from the room (like toys or pictures, unless your child finds them calming and relaxing). You can add reading to your bedtime routine. Many kids find it relaxing to listen to a story or a fairytale, so incorporating this activity into your regimen might help your child fall asleep easier. If you are using a visual guide for the sleep schedule, remind your kid to look at it every day. This will help your little one learn how to stick to a certain regimen and get used to your regular routine. There’s no universal remedy for your child’s sleep issues. You need to try different methods, combine them, and test each of them separately. This does take time and a lot of patience, but it can really help your child sleep better. Set your kid’s bedroom thermostat to a pleasantly cool temperature (60-75 F). To fall asleep better, we need a neutral, a bit cool temperature. When combined with a warm blanket, it creates a relaxing, even comforting sleeping environment. Try a weighted blanket. They are oftentimes used for kids who suffer from anxiety symptoms. The gentle pressure from a weighted blanket can soothe your child, reduce their stress levels, and help them feel calmer. Keep a sleep journal. This way, you will be able to record your child’s sleep regime, see what techniques help him or her sleep better, what improvements have been made, and what methods don’t really work for your kid. When keeping track of everything, it will be easier for you to determine the most effective sleep techniques and methods. Watch your child’s diet. Some products are naturally sleep-inducing and some can actually prevent your child from falling asleep easily. For instance, heavy, sugary, or spicy foods can disrupt your kid’s sleep since they cause digestion problems. However, dairy, nuts, greens, bananas, pineapple, cherries, etc. are good for healthy sleep. Take care of your healthy sleep as well. When you are well-rested, it’s easier for you to take care of your child. Therefore, you need to take care of your own sleep hygiene too. For instance, try to safety proof your kid’s bedroom so that nothing would worry you during the night. This way, you will feel more relaxed and will be more likely to get more sleep. When your child follows the bedtime routine correctly, always make sure you provide a positive feedback (reinforcement). Try aromatherapy to help your kid relax. Many essential oils have calming properties, which means they can help with both sleep issues and autism symptoms. You can try lavender, chamomile, peppermint, rosemary, sandalwood, bergamot, ylang-ylang, or the mixture of several of them. Just make sure your child like the scent first. Regular exercising can help your child sleep better. You see, when being active during the day (in a healthy amount, of course), your kid will feel naturally tired in the evening, which means more chances of him or her falling asleep without an effort. Listening to soft music or nature sounds before sleep can also help your child relax. To create an even safer, calmer environment, you can lie next to your child while listening to music. If your child is sensory sensitive, make sure you get rid of all the distractions. For instance, using fluffy rugs to reduce the creaking of the floor is always a good idea. https://iancommunity.org/ssc/webinar-sleep-challenges-autism – Sleep challenges in autism. 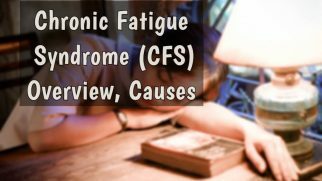 A webinar by doctor Beth Ann Mallow in which she discusses common sleep disorders people with autism face as well as possible treatments. https://my.clevelandclinic.org/health/diseases/14301-insomnia-in-children – More about insomnia in children. 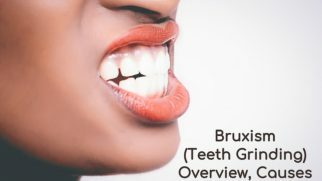 Causes, symptoms, diagnosis, and management. https://aasm.org/study-shows-that-melatonin-is-an-effective-treatment-for-sleep-problems-in-children-with-autism/ – A study on the effectiveness of melatonin supplements for autism-related sleep issues. 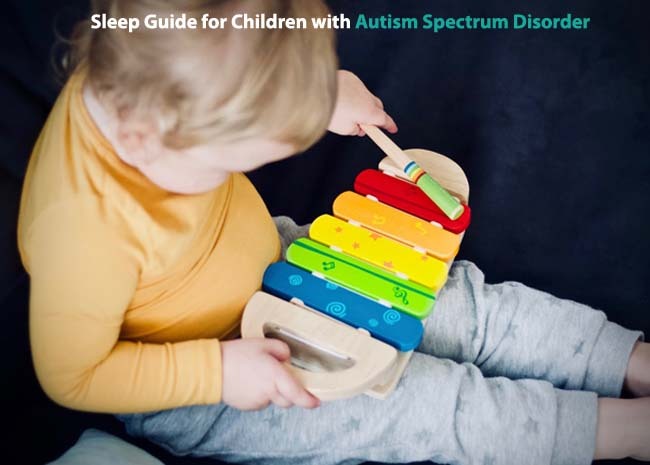 https://www.autismspeaks.org/sites/default/files/2018-09/Sleep%20Quick%20Tips.pdf – An informational booklet on the ways to improve sleep quality for kids with autism.